Blog of Heather Johnson showing my most recent work and a glimpse into my personal life and adventures in Okinawa, Japan. Let’s talk about weddings on a budget. Maybe your parents aren’t picking up the tab. Or if they are they’ve set a cap on how much they will give you because you have three other sisters that have yet to be married. Maybe it’s just you and your husband footing your wedding bill, or maybe you’ve been married before and you don’t want to spend that much money on your next wedding day. You think it can’t be done or won’t be your dream wedding or the vendors on a budget are not the best in the industry. Please allow me be the first to tell you that this is not the case at all! Not only can you do your wedding on a moderate budget, but you can stay below your budget and enjoy the wedding planning process and your wedding day as well! Let me tell you about one of the best days of my life, or rather the wedding planning that went into the best day of my life. My parent’s original budget for my wedding was $5,000. Cue gasps from thousands of brides. As the planning went on, and even though I was very budget conscious with my expenses, my mom ended up raising it to $7,500. My husband’s parents ended up contributing $3,000 for a grand total of $10,500. And you want to know the crazy thing? I came close to my budget, only spending a few couple hundred dollars more. My beautiful budget friendly wedding cake! I didn't need a three tier but it was what I always wanted for my wedding cake and it came in under budget with delivery! How did I do it? First, I wrote everything down. Every expense to the penny was written down from the cost of the wedding dress to postage stamps. I also wrote tons of to do lists which always kept me on track. When I worked full time, that was invaluable along with weekly to do lists and goals per month. I wrote down the dates that guest lists needed to be finalized and save the dates needed to be sent out. And don’t forget my payments to vendors that were due! Everyone has seen the wedding planner and organization books. You can pick one up at Barnes and Noble or similar bookstore. Be sure to check out several of them and pick one that you think will work for your needs best. My favorite picture of my dad walking me down the aisle. Priceless! My wedding budget per category changed numerous times throughout the planning process too. So even though one wedding planning book may say to budget a certain amount per category, know that you can always change it. Do not be limited by that. What works for one bride never works for every bride. The best tip here is to know your priorities and big spending categories. The reception usually eats up half of the budget to begin with. So with the remaining half you need to decide which categories you want to splurge on. For me, I knew that photography and my dress was most important. Once you know that you can plan accordingly and when I saved money in a category I considered less crucial I put the savings towards my favorite categories, which made me super excited when I had $200 more to spend on photography and $100 more to spend on my dress. It’s the small savings that add up over time which allow you to spend more on your favorite items. For me, my photography ended up being $1,200. And my dress totaled $1,100 after alterations and accessories. Still very modest expenses for the modern bride today. I loved my wedding dress! I knew when I put it on it was the one! If you are a DIY bride, make it fun! For my centerpieces my mother and I went thrift store shopping to find different size flower vases which for us is a favorite past time. Then I bought some white spray paint and went crazy spray painting them! My dad took over since he is a perfectionist and couldn’t stand my horrible spray painting job (he specializes in car paint and body so I was driving him nuts lol). This also saved me money with the florist since I was providing the vases which can be expensive. Take your time shopping for things and find the best deals. Which for the majority of us ladies, we always love a great deal! It took me forever to find my invitations. I almost custom ordered them online for a few hundred dollars (eek!) but at the last minute I found the perfect invitations at Target for $20 for 50 invitations (clearance!). I just switched out the ribbon color to include my two wedding colors and bam! Done! So what do I wish I could have done differently? As a bride on a budget, I thought wedding planners were completely out of my price range. One thing that I didn’t know was an option to brides was having a day of wedding planner. If I had known about that I absolutely would have paid for a wedding planner the day of! It is an affordable service that really covers all the important last minute tasks the month prior to your wedding. If you are looking for a local Jacksonville wedding planner, check out Make My Day Wedding & Event Planning! I know Tatum personally and she is very professional and a joy to work with! The day of my wedding the venue coordinator wasn’t even present. My venue had gone through three event coordinators by my wedding date. Which you can imagine was slightly stressful. Knowing I could have depended on my own day of wedding planner would have been such a relief. Both of our parents are still married after 30+ years! We have great role models to look up to. As you can see, being on a budget doesn’t have to be restrictive. You just have to think outside the box. The average cost of a Jacksonville wedding is roughly $26,000 (costofwedding.com with 32257 zip code). But don’t let that number scare you. When choosing wedding vendors you do need to do your research. Definitely check out their portfolio and understand that their style is meant to enhance your vision for your wedding day. If they have reviews read them. There are great wedding vendors for every price point! We are here to do our best to make sure that your wedding is one of the best days of your life! In the end though, don’t forget that this day is because of the man or woman you are marrying. Forget about your college girl friends that are getting married around the same time you are. Take away the wedding dress, flowers, fancy make-up and hair do, family and guests, and what do you have left? You still have the man or woman that made you think about forever. You still have that special person who you want to spend the rest of your life with. So when your wedding planning hits a snag, and believe me it will, just remember that no matter what happens, you two are in it together and about to start a new exciting chapter in life. That is what’s most important. The love between you and what you make of the life you now share. This is why I married my husband Ryan! Because he makes me the happiest woman in the world! 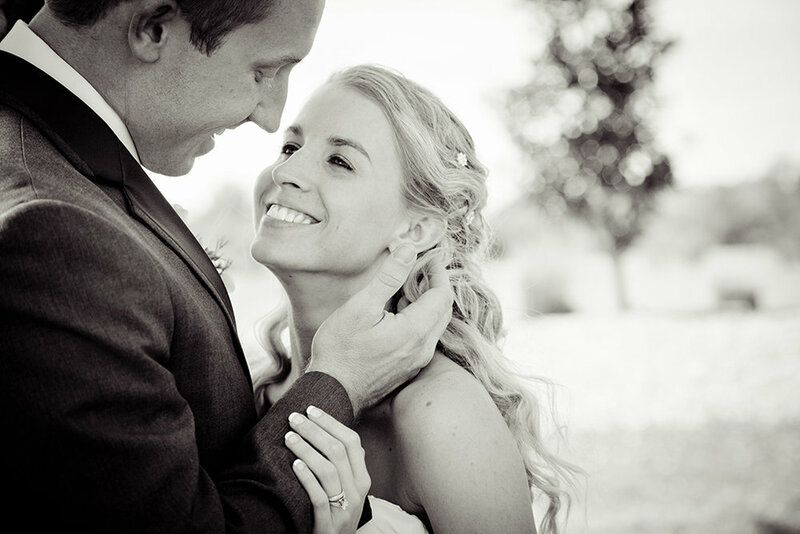 Heather Johnson is a private photo editor serving busy wedding & portrait photographers all across the United States. Ready to outsource your photo editing? Learn more here. Welcome to the Blog! Here you’ll see my most recent work, great resources for your business, and a glimpse into my personal life and adventures.